Today I went to my local drugstore looking for some sort of moisturizer to put under my eye. The face lotion that I’ve been using doesn’t work; I need something with more “moisturizing power.” In the past, I didn’t really bother with lotion. It was too much of a hassle. Now, I don’t want people to think that I have some sort of disease with this dry patch of skin under ONE eye, so I’d better do something about it! It’s a bit curious that the other side is okay… Any dermatologists out there? FIST! STRONG! RESILIENT! POWERFUL! MANLY LOTION! MEN is even in all-caps in the product’s official webpage url: http://www.keepingskinamazing.com/Product.aspx?Path=Consumer/OurProducts/MENLotion! Blatant product differentiation at work here! But maybe a bit of reverse psychology on me… I quickly picked it up as a maybe. The pump design in a bottle of that shape is a bit odd… But I digress. 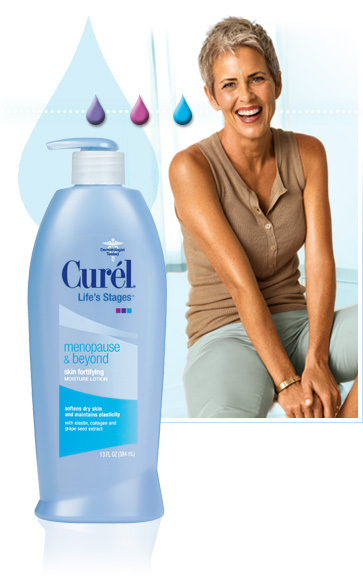 Seriously… Lotion for MEN? 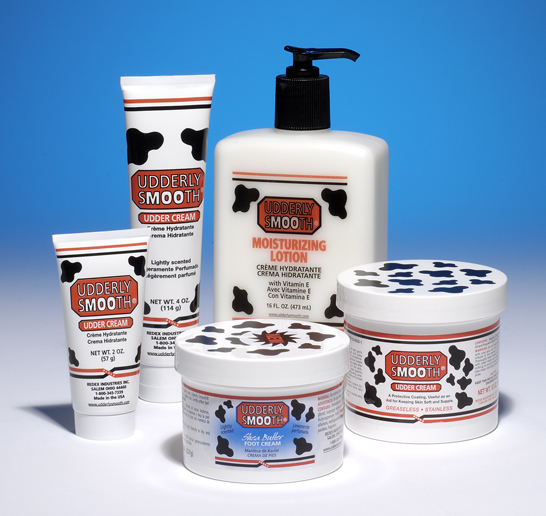 You might as well use Udder Cream! I’m NOT knocking Udder Cream. It’s actually a great product that does the job. I used to use it when I was working in the lab and washing my hands every time I turned around. It just has an awful “odorless” smell, so I would never buy it for myself. 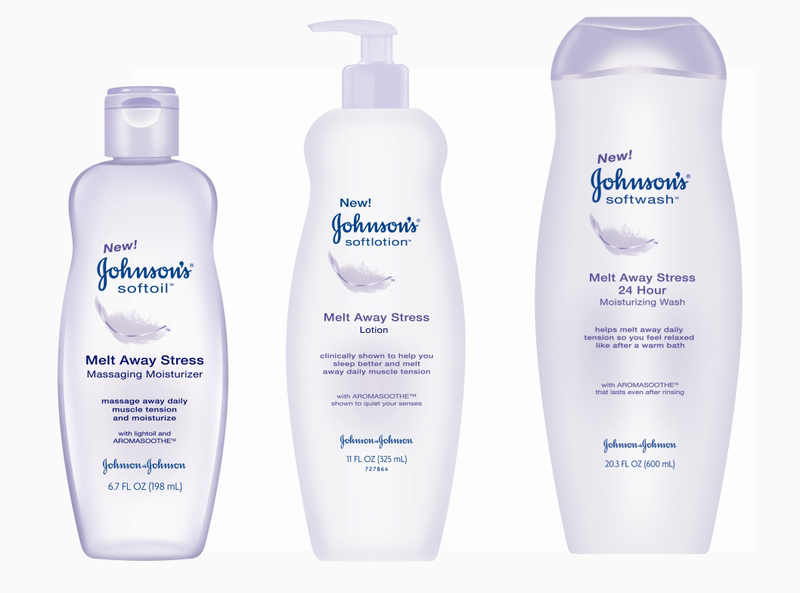 Still scanning the shelves, my eyes locked on a very curvaceous lavender bottle with the words “Melt Away Stress Lotion” that was obviously designed with the female market in mind, and I couldn’t help but laugh out loud in a reflex reaction. I’m sure the woman next to me must have thought I was crazy. “Clinically shown… to melt away daily muscle tension…” In which clinic??? “With AROMASOOTHE [trademarked!] shown to quiet your senses…” What does quieting my senses even mean??? And why would I want them quieted??? So I’m not a girly lotion person. Or I WASN’T until I got hooked on Bath & Body Works’ magnolia blossoms BODY CREAM (not just the lotion!). I loved the thickness of this product and LOVED LOVED LOVED the smell! Alas, of course the only “girly” fragrance that I liked was discontinued, which is why I use the past tense. Sigh… What does that say about me??? 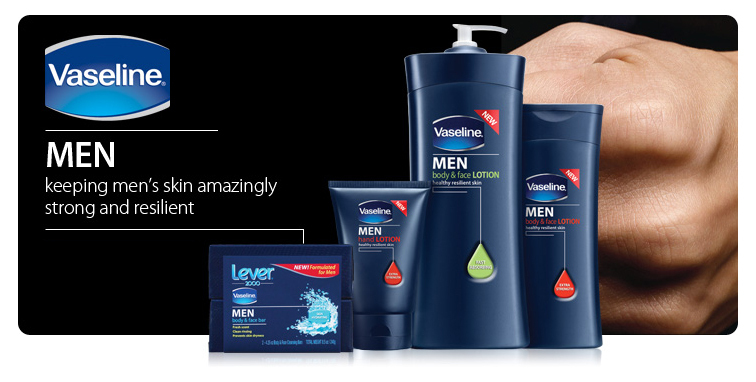 It says that I still have the Vaseline Lotion for MEN in my hands! Really, I was considering slathering the old standard, Vaseline petroleum jelly, under my eye to see if that would do the trick. It helps with a chafed nose during runny, constantly-blowing-your-nose season! 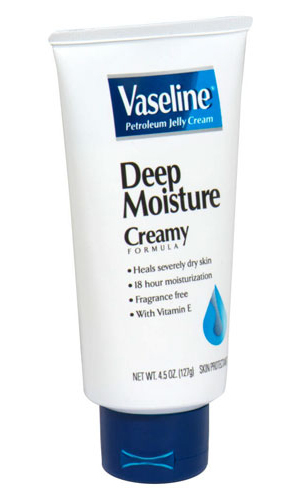 But okay, I’ll pay a little more for this bit of product differentiation – for this Vaseline Petroleum Jelly Cream that is “as effective as 100% pure Vaseline Petroleum Jelly.” That’s the line that ultimately sold me! Now where is that “10 items or fewer” check-out lane?